Calf Cushioned cotton by Sigvaris is designed for those having leg swelling, leg tiredness and varicose veins. 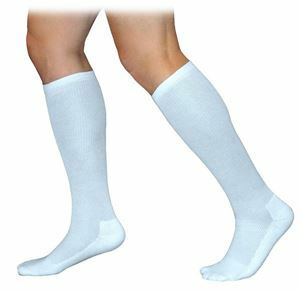 These are soft breathable socks with padded toes and heels that give extra protection to feet. Made up of a two layered yarn that makes it easy while putting on and pulling off. Can be worn by Diabetic patients also.